Welcome to my Blog! Where you will get a lot of Elton John information about officially released items from 1969 to 2019 (such as CDs, LPs, 7”Singles, 12"Maxi, VHS, DVDs, Books, Tapes, Posters, T-shirts, Picks, Drum sticks and other rare stuff). All items contained on "Official Collection" section are for information only. Nothing is available for sell. 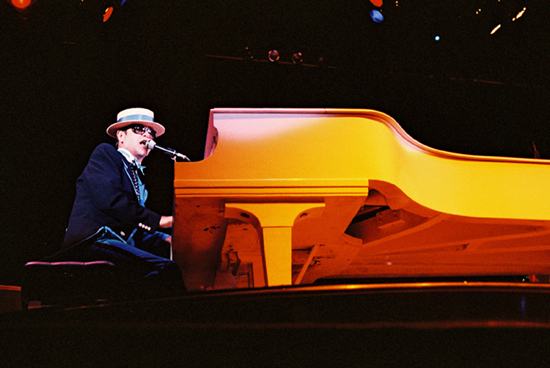 But I´ve got some spare items which I can sell or trade for another Elton John items, you can see a complete list here. Also this blog contains my complete "Bootleg Collection" section (which include live concerts, studio songs, DVDs, etc. from 1970 to 2016), which are available for trade. If you want to take a look to my wanted list: Here you are a complete list of items that I´m currently looking for. To see the complete list of ítems of my collection, just clic on the right menu (on "Official Collection" or "Bootleg Collection"), and you´ll get all available info.